And don’t forget the dressing! 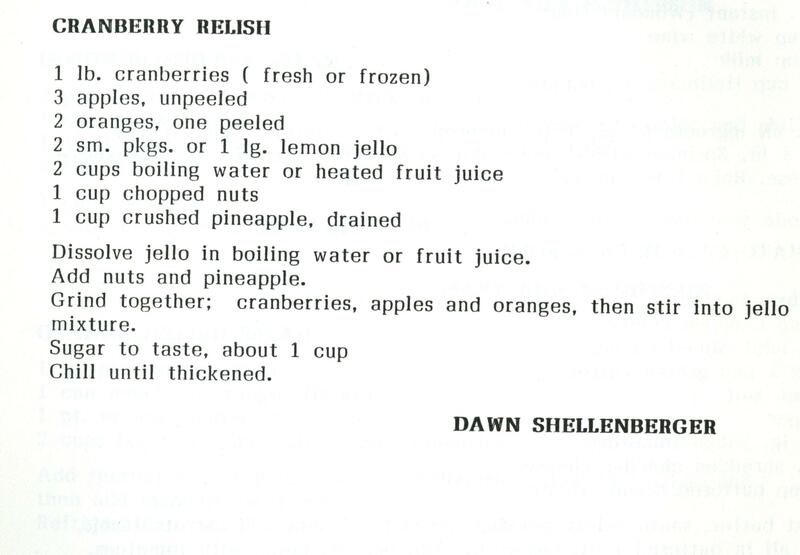 Dave found this relish alternative to “traditional” canned cranberry jelly in the 1985 edition of Favorite Recipes of the Oak Lane Presbyterian Church, a congregation in Philadelphia, Pennsylvania. As for leftovers, wouldn’t cole slaw be a nice addition to your turkey sandwiches this year? 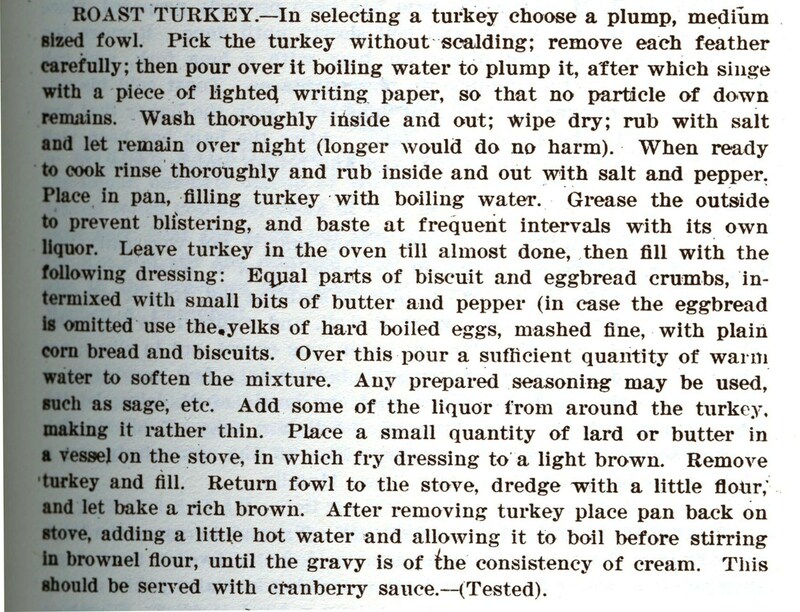 Favorite Recipes from the Women’s Association of Community Untied Presbyterian Church, Drayton Plains, Michigan, contains this recipe. If you try any of these, please let us know how they turn out! And Happy Thanksgiving!